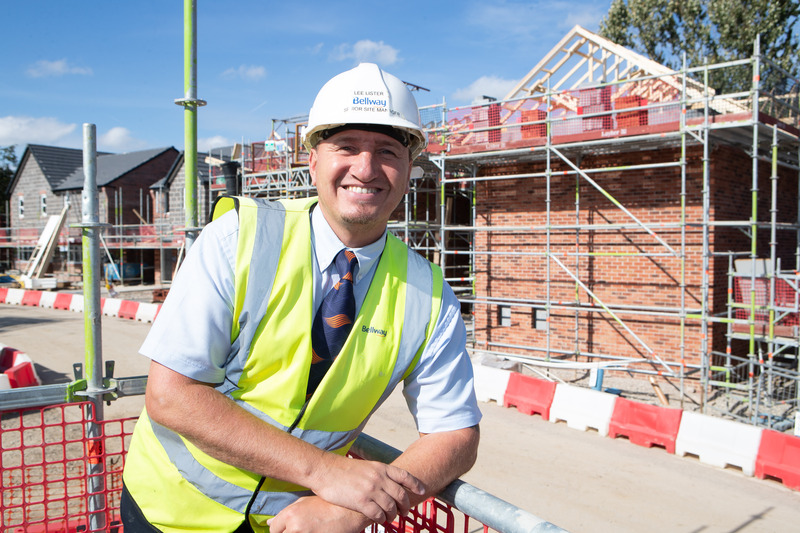 Lee Lister, the site manager at Bellway Homes’ Tudor Grange development in Bury, is the proud recipient of a National House Building Council (NHBC) Pride in the Job award. It is Lee’s first Pride in the Job award. In existence for more than 35 years, the Pride in the Job scheme is dedicated to recognising the industry’s very best performers. It is a prestigious accolade that site managers strive to achieve. To win, site managers must score highly in all areas of the build process including quality of workmanship, technical expertise, health and safety, management and leadership. In addition, judges are also looking for meticulous and consistent attention to detail and the special qualities and attributes that set winners apart from the rest. Having worked in the construction industry for more than 20 years, and in management positions for the last 15 years, Lee is thrilled to receive his first Pride in the Job award. He comments: “I am so pleased to win this award. I am proud of the team at Tudor Grange who have all contributed. Construction Director at Bellway Homes, Paul Wright, added: “We are very proud of Lee and what he has achieved while at Bellway Homes. Tudor Grange is a contemporary development in Bury with a superb selection of three, four and five bedroom homes. Having just released for sale a new phase at the development, prices currently start from £183,746.